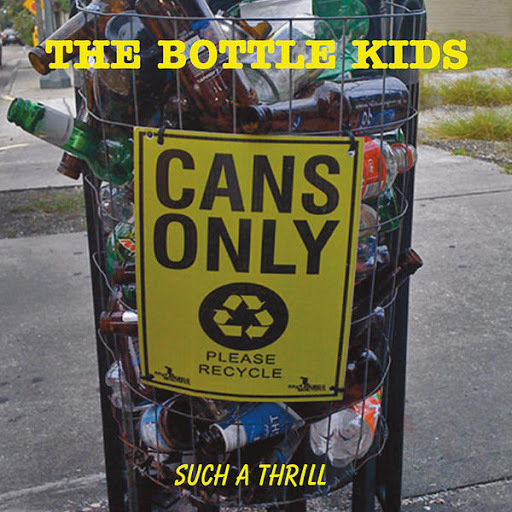 Song of the day: The Bottle Kids – "Yes You Can"
This post is easy peasy. A chap by the name of Eric (Hi, Eric!) sent me a couple of songs by his band, The Bottle Kids, to see what I thought of them. If you liked those, you can hear a couple more over at the band’s website. One thing I really like about the songs is that they both have a dynamic range. Most songs nowadays are victims of the loudness war, in that all the sound is compressed so that there’s very little difference between loud and soft sounds, which results in a track that sounds LOUD ALL THE WAY THROUGH. My head hurts when I listen to “Sky Burn Down”. And it doesn’t matter how much I turn down the volume. No matter how quiet it is, it always sounds too loud to me. And courtesy of those dynamics, I find “Yes You Can” eminently listenable in a non-head-hurting way. You are currently browsing the archives for the Bottle Kids category.